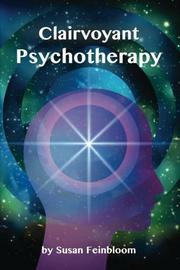 An unusual mapping of psychic clairvoyance onto the standard practices of psychotherapy. “Each chakra in the body holds particular pictures and beliefs,” writes Feinbloom (Unwinding the Soul, 2005), referring to the Eastern mystical belief in the energy centers located at various points in the human body. An exploration of chakras leads to her discussion of “Psychic Psychotherapy,” which she calls a new approach to working out “the tangles, cords, holes, and connections to past events that have imprisoned the primary creative expressions of the client.” Her program will likely provoke skepticism in some readers, as it relies on making her patients aware of previously unknown psychic abilities, such as “clairvoyance, telepathy, and clairsentience.” In laying out this schema, Feinbloom examines traditional Sanskrit elaborations of chakras, explaining each in detail (“[c]ompassion is an essential quality of the fourth chakra. In this we can see one another as children of God”). She then offers interviews and conversations with her own clients, as well as citations from psychic literature. The patient sessions lend a human face to several of her belief systems, which can be fairly complex, and they help to ground speculations in fact. As readers find out what the patients are feeling in their own words, Feinbloom fleshes out her own thoughts on not only psychic healing, but also physical healing: “There are [physical] addictions that we know of,” she writes, “such as drugs, alcohol, and coffee, and there are emotional and energetic addictions as well.” Her interconnected spiritual/psychotherapeutic approach revolves around the contention that her clients possess a much greater array of resources to combat their fears and addictions than they suspect. That belief gives a strong element of optimism to chapters that might otherwise feel insular or unrealistic. A challenging, highly unconventional approach to psychotherapy.